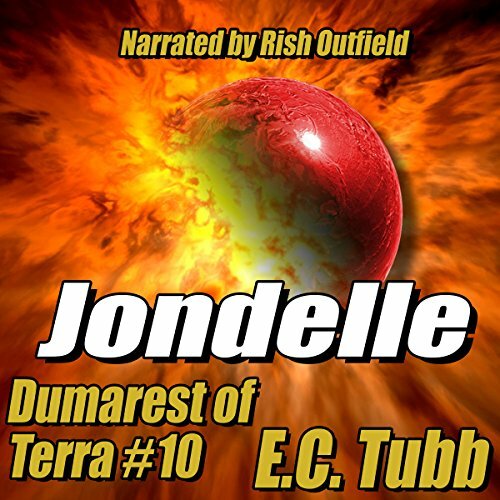 Ourelle was the closest planet to legendary Earth that Earl Dumarest had reached. There the legend of the Original People persisted among the several strange races that populated this world out along a far arm of the Milky Way. Somehow the boy named Jondelle held the key to further data in Earl's quest, but before he could obtain it, the child was kidnapped. The pursuit of the kidnappers led directly to the weirdest, more vicious race of all - to a city of paranoiac killers in a country of madmen whose hair-trigger tempers and erratic violences terrified the rest of that world. But it was there and there alone that Dumarest could pick up the train that led to Jondelle - and to long-lost Terra.